No Fee! 1 Month Free! Beautiful 1-bed available August. Comfort, Convenience, Quality, Space, and VIEWS are what you can expect from this stunning new addition to the Brooklyn skyline. The award winning custom zinc-clad façade designed by COOKFOX is a fitting preview of the residences within. Welcome Home to 7 Dekalb. 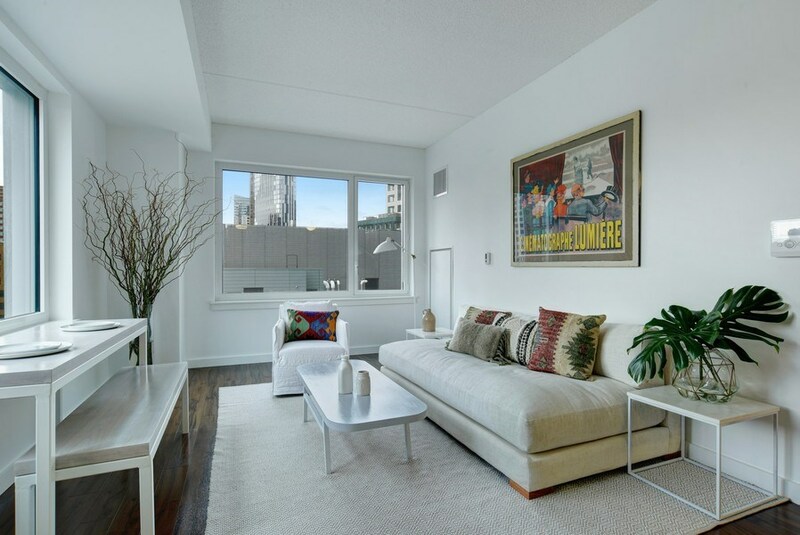 This Rent Stabilized, No Fee Rental building features a complete amenity package including a full-time doorman, cold storage, a thoroughly equipped fitness center, 2 resident lounges, a playroom, media/screening room, expansive resident terraces, bike storage, storage units, and laundry on every floor. 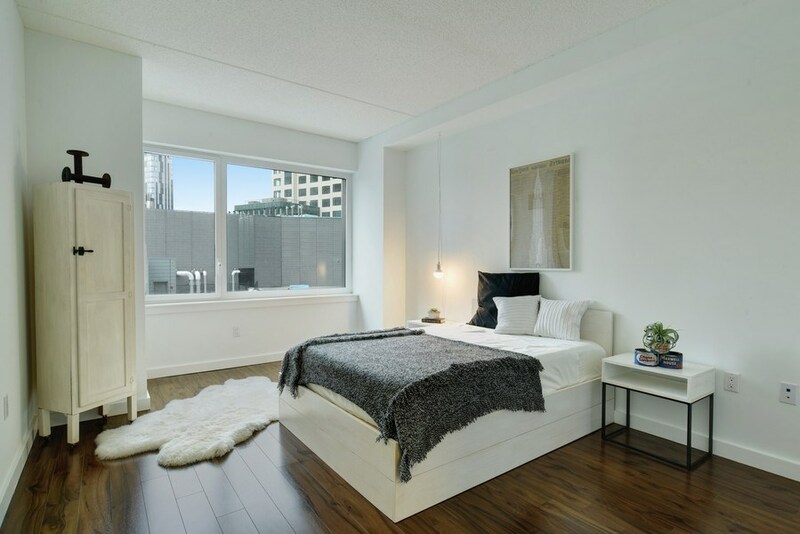 The 1 & 2 bedroom apartments were designed with how you live today in mind, featuring spacious and practical layouts, high ceilings, clean lines, and modern appointments. 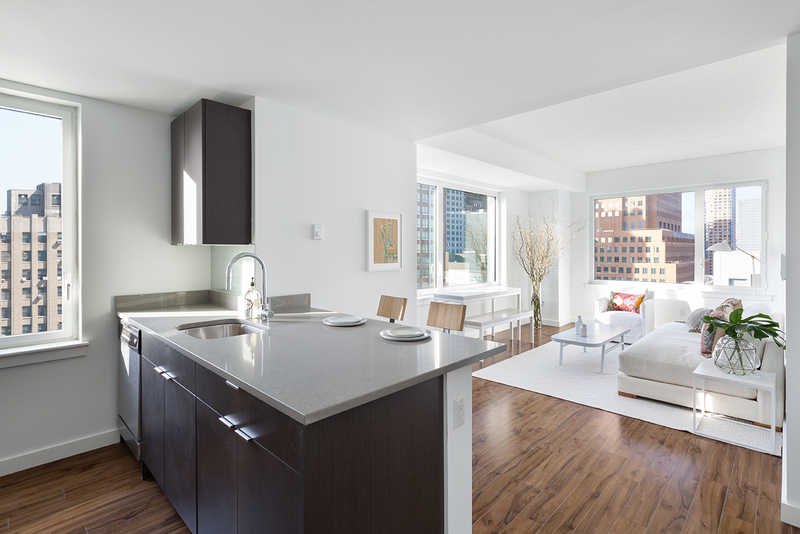 Walnut hardwood flooring throughout adds rich warmth to these beautifully bright and clean apartments. 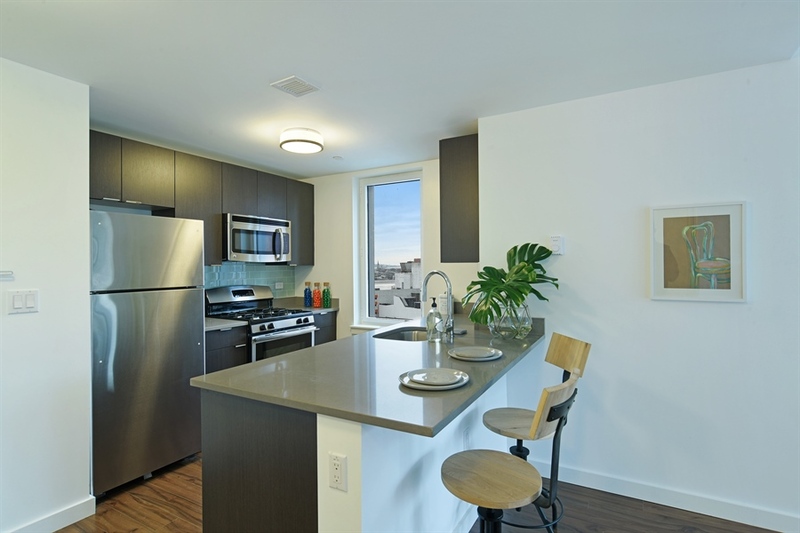 The kitchen is equipped with a 4 piece GE appliance package and Caesarstone countertops. 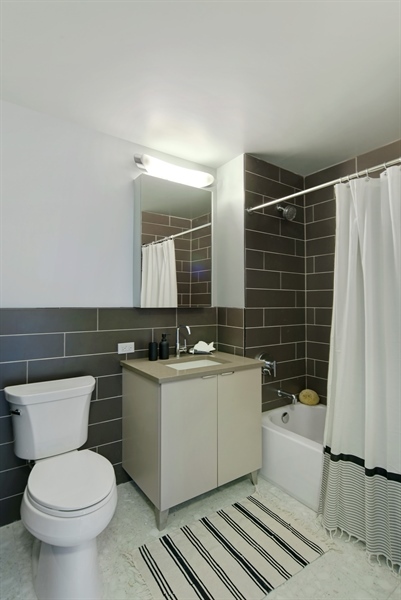 The stylish modern bathrooms feature polished white quartz terrazzo bath tiles and bathtubs in every apartment. Enjoy breathtaking, wide open views from dual exposures in most apartments. 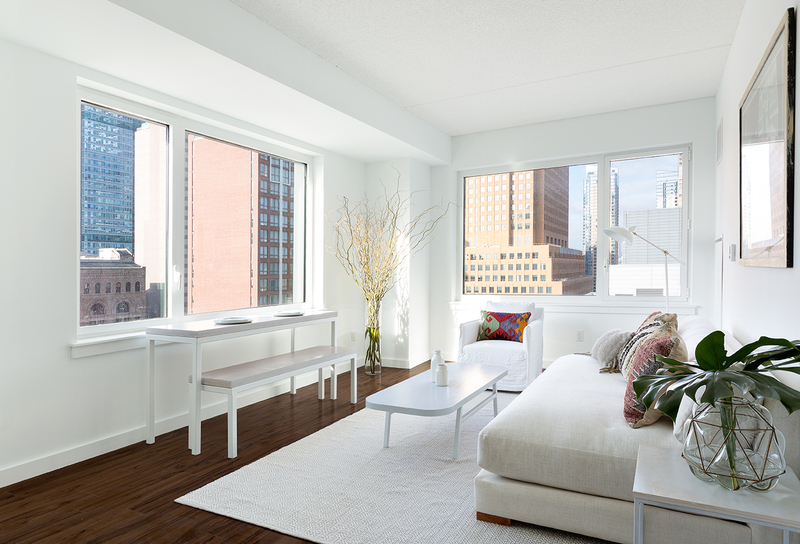 Select apartments feature large private terraces as well. 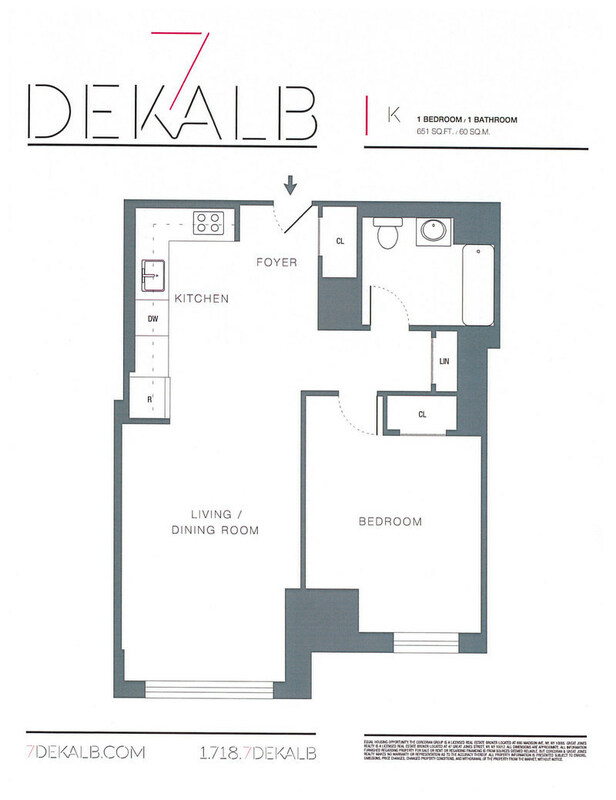 Centrally located in the heart of Brooklyn, 7 Dekalb offers residents a wealth of entertainment, culinary, and shopping possibilities including Trader Joes, Alamo Drafthouse Cinema, Target, Century 21 & Dekalb Market Hall at your doorstep. Brooklyn Academy of Music and Barclays Center are just blocks away, and access to 13 Subway lines, 16 Bus lines, and the Long Island Railroad make getting around a breeze. Live Life atop City Point. Call or e-mail us today for a private appointment. *The Advertised rent is net effective based on a 12 month lease with 1 month free rent.